The following Sun Alerts corresponding to these updates will be released following the availability of these updates. In addition to the security fixes listed below, the update to Firefox fixed several stability issues, added the ability to re-submit crash reports and addressed the issue where after using Clear Recent History some SSL sites would not load all images and styles without pressing reload. To get the update, click Help -> check for updates. Opera users can obtain the update to version 10.01 by clicking "Help -> check for updates and following the prompts. Windows 7 Launch = Success! Although the Windows 7 launch events were scaled down from the Windows Vista launch, there was no less enthusiasm on the part of Microsoft employees, partners and Windows fans. If you missed the launch event, it is available at Microsoft PressPass. The full video is 54:02 in length, but worth the time. I particularly enjoyed the demonstration by Brad Brooks, corporate vice president located around the 29 minute mark. Of course, Kylie, the little girl who won hearts around the world, made everyone smile when she introduced Steve Ballmer. in New York City on Oct. 22. If you are in the market for a new PC, check what is available in Brandon’s Guide to Awesome New Windows 7 PCs. From there, move on to the refreshed Windows 7 web site, being sure not to miss the 7 days of Windows 7 savings . Edit Note: As pointed out in the comments, if available in your country, the URL link for the "7 days of Windows 7 savings" offers will vary. The above link is to the U.S. site. Do you have an idea how you could use Windows 7 to help your local community? Submit a short video explaining or illustrating how you would use Windows to help a community organization. Why? Because the 7 people with the best submissions (selected by Microsoft judges) will each win a new PC running Windows 7. In addition, each winner's chosen (eligible) community organization will receive a $7,000 grant. Find the rules, get additional information and submit your video at 7 Ways to Change the World. The deadline for submission is November 11, 2009. Ok, I can hear the groans from here. You have a great idea and a worth-while community organization that could really benefit from that grant but you have never created a video before. Take my word for it, even an amateur can create a video with Windows Live Movie Maker. For simple instructions check out the videos the Windows Live Team created and soon you will be on your way. Don’t take too long though, the deadline for submitting your video to 7 Ways to Change the World is November 11, 2009. Windows 7 Launch Events and Deals! Finally the event that people from around the globe have been waiting – the official launch of Windows 7! Live streaming video, event photos, video highlights and more will be available starting at 8 AM Pacific (11 AM Eastern) at PressPass where you can “Watch the New York City Windows 7 Launch Party LIVE”. 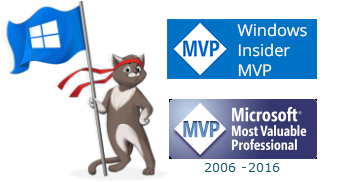 Live coverage will also be provided by WinPatrol developer and fellow Microsoft MVP, Bill Pytlovany. He will be joined by the PC Pitstop Pit Crew. Join them tomorrow at: “Live Coverage – Windows 7 Launch Event in NYC”. Watch for Windows 7 Launch Party invites in your area or host your own Windows 7 Meetup!. Brandon LeBlanc provided additional details in the Windows 7 Team Blog: Windows 7’s Big Day Tomorrow + New Offers Announced! Microsoft worked with their partners to introduce a series of limited-time offers that will include deals on hardware, Microsoft worked with their partners to introduce a series of limited-time offers that will include deals on hardware, software, upgrades, support, and other options. 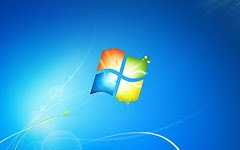 Brandon reported at the Windows 7 Team Blog that new offers will be released daily. The deals will be available for the next 7 days on Windows.com (site live tomorrow). The limited-time offers will also be available through participating retail and OEM partner sites. Best Buy Bundle: HP Laptop, Desktop PC with monitor, Netbook, wireless router and set-up by Geek Squad for $1,199. Buy a PC with Windows 7 Home Premium, Professional or Ultimate and purchase a discounted copy of Windows 7 Home Premium, Professional, or Ultimate to upgrade an existing Windows PC. This offer will run through January 2nd, 2010 and be available in Germany, UK, Czech Republic, Greece, Slovakia, Poland, Latvia, Hungary, U.S., Canada, Denmark, France, New Zealand, Australia. The Windows 7 Family Pack is also available today while supplies last. Customers can buy 3 licenses of Windows 7 Home Premium for one low price – for the U.S. it’s available for $149.99. The Windows 7 Family Pack is available in the U.S., Japan, Canada, Germany, UK, France, Netherlands, Switzerland, Austria, Ireland, Luxembourg, Sweden. If you are a student (an .edu email address is required), you can upgrade to Windows 7 at the LOWEST PRICE offered, $29.99 in the U.S. This offer runs through January 3rd, 2010 for US, Canada, France, Germany, Korea, Mexico and UK and March 31st, 2010 for Australia. See Microsoft Student for details. Yesterday I told you about MS09-054: IE and Firefox Attack Surface and included recommendations for protecting your computer. Before posting that article, I made the changes to both Firefox and Internet Explorer on my computers. Today, when I returned from running errands, I discovered the following Firefox pop-up message, "Add-ons may be causing problems"
Following the "More information" link illustrated at the bottom of the above image, led me to a Mozilla page which lists blocklisted add-ons that should no longer be used with Mozilla products. Internet Download Manager, v2.1-3.3 for Firefox 3.0a1 and newer. Reason: caused startup crashes (see bug 382356). Free Download Manager, v1.0-1.3.1 for Firefox 3.0a1 and newer. Reason: high crash volume (see bug 408445). Yahoo Application State Plugin, v1.0.0.5 and older for Firefox 3.0a1 and newer. Reason: high crash volume (see bug 419127). Vietnamese Language Pack, v2.0 for all applications. Reason: corrupted files (see bug 432406). Apple QuickTime Plugin, v7.1. *, for all Firefox 3 versions on Windows. Reason: remote code execution in multiple versions (see bug 430826). Crawler Toolbar, for Firefox 3.0a1 and newer. Reason: high crash volume (see bug 441649). Daemon Tools Toolbar, versions older than 1.0.0.5, for all applications. Reason: high crash volume (see bug 459850). AVG SafeSearch, versions older than 8.0, for Firefox 3.1a1 and newer. Reason: breaks a core navigation method (see bug 479095). Microsoft .NET Framework Assistant and Windows Presentation Foundation, all versions, for all applications. Reason: remote code execution vulnerability (see bug 522777). Compliments to the Mozilla developers for providing this service. “A browse-and-get-owned attack vector exists. All that is needed is for a user to be lured to a malicious website. Triggering this vulnerability involves the use of a malicious XBAP (XAML Browser Application). Please not that while this attack vector matches one of the attack vectors for MS09-061, the underlying vulnerability is different. Here, the affected process is the Windows Presentation Foundation (WPF) hosting process, PresentationHost.exe. In other words, if you happen upon a malicious website, with the Windows Presentation Foundation (WPF) plug-in enabled in Firefox, your computer is vulnerable. Click Tools --> Add-ons --> Click the Plugins Tab. Select “Windows Presentation Foundation”, and click “Disable”. To uninstall the “Windows Presentation Foundation” plug-in from Firefox, see to Microsoft KB Article 963707, How to remove the .NET Framework Assistant for Firefox. Adobe has released a Security bulletin addressing 28 vulnerabilities in Adobe Reader and Acrobat. The updates are identified as critical. Details are available in Adobe Security Bulletin apsb09-15. Should you wish to switch to an alternate PDF reader, there are a number of open source readers available from http://pdfreaders.org/. Warning: Hat tip from my friend Randy. The Google Toolbar is not required as part of the installation. If you do not want the toolbar, uncheck that option when installing the update. Microsoft released 13 new bulletins which address 34 vulnerabilities in Windows, Internet Explorer and Microsoft Office. Microsoft is also re-releasing MS08-069, vulnerability in Microsoft XML Core Services could allow remote code execution (955218) to add detection for Windows 7 and Windows Server 2008 R2. Although this component does not ship with these platforms but many applications install it in order to use its functionality. There was a change in the severity rating since the advance notification for several versions of Windows in the .NET bulletin (MS09-061). Microsoft elevated the severity from Important to Critical. This is not a regular practice, however, it was determined that this was the appropriate rating for these products when certain versions of the .NET Framework are installed on them. The Malicious Software Removal Tool (MSRT) adds one new family this month: Win32/FakeScanti. On October 13, 2009, Microsoft is planning to release 13 bulletins (eight critical and five important), addressing 34 vulnerabilities. The affected products include Windows, Internet Explorer, Office, Silverlight, Forefront, Developer Tools, and SQL Server. Most of these updates require a restart. According to the Advance Notification, of the 13 bulletins only one is designated Critical for Internet Explorer 8 on Windows 7. Four bulletins are designated Important for Windows 7. The full version of the Microsoft Security Bulletin Advance Notification for this month can be found at the TechNet link below. Bulletin 5, an update for Windows Internet Explorer 8. "I am pleased to announce that the Commission will formally market test proposals made by Microsoft to address the Commission's concerns regarding the tying of Internet Explorer to the Windows PC operating system." Brad Smith, General Counsel, Microsoft Corporation, welcomed the European Commission announcement to move forward with formal market testing of Microsoft’s web browser proposal in Europe. An example of what to expect in the Web browser ballot is shown in the image below. Ideally, Europeans will be given the opportunity to select multiple browsers. This compromise is a major improvement over the prior option necessitating the separate downloading of a browser. The video and statement by Mr. Smith is available at Microsoft PressPass. The Windows Live Team, confirmed that the logon account information of several thousand Windows Live Hotmail accounts were exposed on a third-party site. It is believed that this was due to a likely phishing scheme. "As of 3pm PT: We want to provide a quick update, that as a result of our investigation we are taking measures to block access to all of the accounts that were exposed and have resources in place to help those users reclaim their accounts. If you believe your information was documented on the illegal list, please fill out the following form to reclaim access to your account." If your account was compromised, please see “What to do if you think your account has been stolen”. “Q: What should you do if you fall victim to a phishing scam? How should you respond? What steps should you take? A: If you think that you may have responded to a phishing scam with personal or financial information or entered this information into a fake website, you should take four key steps: (1) report the incident to the proper authorities, (2) change the passwords on all your online accounts, (3) review your credit reports and your bank and credit card statements, and (4) make sure you are using the latest technologies to help protect yourself from future scams. If you have given out your credit card information, contact your credit company right away. The sooner a company knows your account may have been compromised, the easier it will be for them to help protect you. Then, report the incident to the proper authorities. Send an e-mail to spam@uce.gov to report it to the Federal Trade Commission and to reportphishing@antiphishing.org to report it to the Anti-Phishing Working Group. The second step is to change the passwords on all your online accounts. The reason for this is that a lot of people use the same password for multiple accounts. Start with passwords that are related to financial institutions or personal information. If you think someone has accessed your e-mail account, change your password immediately. If you’re using Hotmail, go to: http://account.live.com. The third step is to review your bank and credit card statements and your credit report monthly for unexplained charges, inquiries or activity that you didn’t initiate. As a precautionary step,it is advised that Windows Live Hotmail passwords be changed every 90 days. Instructions for changing your password as well as getting a refresh reminder are available in “Let Hotmail Remind You To Refresh Your Passwords Every 72 Days”. With the end of the year Holidays approaching, phishing scams will be on the rise. Learn how to Create strong passwords, Protect your Windows Live ID and much more at the Microsoft Online Safety Fraud Prevention web page. Canada and the United States have set aside the month of October as Cyber Security Awareness Month. Where ever you may live, the tips provided by supporters of this endeavor are appropriate for all computer users. To support the Cyber Security Awareness theme last year to "Protect Yourself Before You Connect Yourself", I scheduled a new "tip of the day" at Security Garden each day during October (Available in the Cyber Security label). Although it was a lot of fun, the theme this year is "Our Shared Responsibility". With that in mind, where ever you may be, I challenge everyone who reads this to join in the endeavor – share the responsibility! As a home computer user or tech enthusiast, take responsibility for keeping yourself and your family safe online. A starting point is ensuring that your family computer(s) have basic protection. Some months ago, I wrote a popular tutorial, Basic Computer Security for the Home User. If you are a “beginner”, that is a good place to start. After your computer is protected with the basics, it is time to consider that the Internet is a virtual world with potential dangers and . . . Particularly for younger children, I suggest child care-givers use Windows Live Family Safety or Windows Vista Parental Controls to create age-appropriate filters for internet usage of the children in your care.